Over the years, 95-year-old Eugene Field Elementary School has gotten a bit of a reputation for frequently blowing a fuse, its unique odor, having hot flashes and then being freezing, the creaky floors and a host of other problems mostly attributed to age. But none of its physical conditions are what community members remember when they reminisce about the school. The reason? The school is more than the building. It’s a place where if the walls could talk. they would share stories of the friendships, the family-like atmosphere, the fun of encouraging children to learn and more. Eugene Field secretary Debbie Wiesner has been at the school for 24 years and her husband and children attended the school. 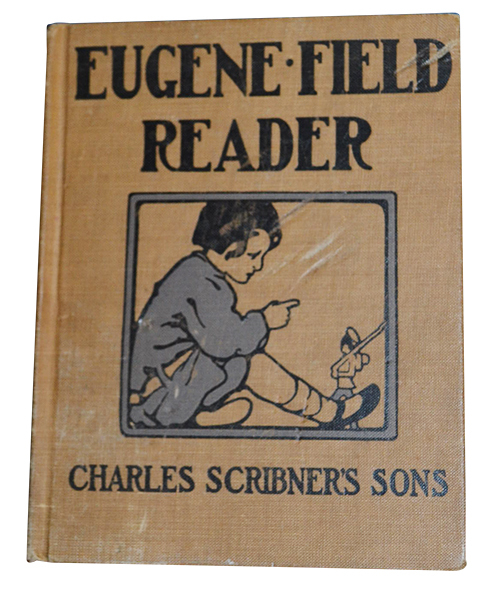 Saturday, May 21, 1 to 3 p.m.
A Farewell to Eugene Field School celebration will be held Saturday, May 21, 1 to 3 p.m. at the school. There will be music, refreshments and stories. Lots of stories. Third through fourth grade students will attend Robert Frost and the sixth through eighth grade students will move to parts of the former high school on Schlador Street to become Silverton Middle School. One thing that makes the school special to many families is the generations who have attended there. Fränz is part of a real skeleton used for studying science. Greta Ledford said three generations of her family attended the school – both her parents, Arland Anderson and Linda Schmidt Anderson; herself and her sisters, Kirstin and Ingrid; and her daughter, Brooklyn Ledford, who is now a fourth-grade student at Robert Frost. 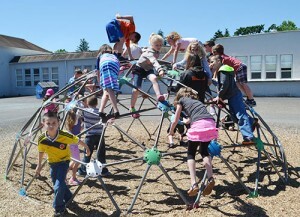 “Some of my favorite memories are from PE with Ms. Jackson; riding on scooters was a favorite along with climbing the giant net that went all the way to the ceiling, or so I thought at that time,” Ledford said. On a recent Friday morning, Wiesner met with retired teacher Marjorie Jackson and school counselor Nancy Ohren to discuss plans for the farewell event and share memories. “There are some stories we can’t share,” Jackson said, laughing. What they all said they enjoyed about working at Eugene Field is the children and their colleagues. Long gone are the days when this “tool” was used to keep students in line. They do have stories about the building’s flaws, including finding dead animals in closets or under the stage. 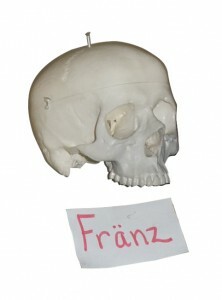 But all the building’s flaws play a distant second to how staff members did things to encourage and make learning fun. They remember the dress up days, the annual May Pole dance, the games, the laughter and the chance to introduce students to the gift of learning. Larry Brown, 82, and Cindy Parr, 48, are two of the STARS volunteers who also attended Eugene Field School. 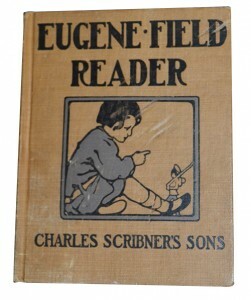 Brown recalled when he attended Eugene Field, it went first to sixth grade. “So many people have such special memories of this school,” he said. Parr remembers in 1976 when everyone gathered for a Bicentennial photograph. Karen Hatteberg taught at Eugene Field for 18 years and is now a STARS volunteer. 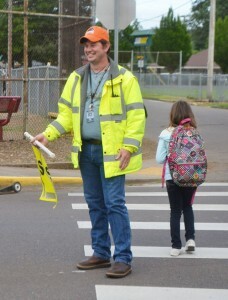 Bobby Hitch greets each child he sees with a “Where’s my smile?” A crossing guard for Eugene Field, he offers words of encouragement and kindness. “We had a fun crossing guard when I was I kid and that’s part of the reason why I do this,” he said. Hitch, 38, wants students to have the same fond memories of the school he does. He recalls his first grade teacher who had “Rosie the rat,” the tractor tires that had to be removed because students were caught kissing under them, the jungle gym and big slide in the playground. Sharing he is sentimental about the school, he said he’s sad to see it being closed but understands why. “I hope someone buys it and finds a way to use some of the old parts of it,” he said. Marie Coxen, who has taught for 25 years at Eugene Field, remembers being told when she started there would be in a new school in three years. “It’s bittersweet to be leaving but we know it’s not a safe place for kids,” she said. What makes Eugene Field special, Coxen shared, is how students receive the individual and personal instruction they need to be successful in learning and how the staff works to create a family.